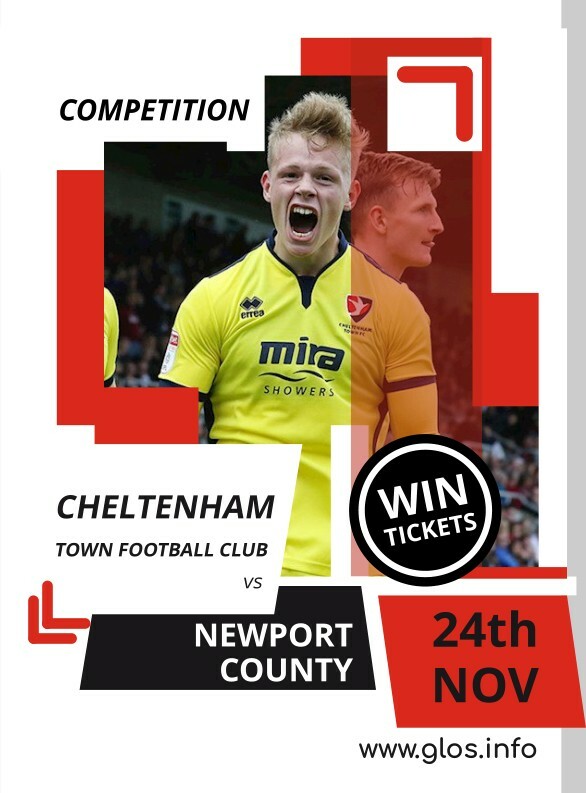 We have a pair of tickets up for grabs to see the Cheltenham Town FC clash against Newport at the Jonny Rocks Stadium on Saturday 24th November 2018! The winner will be drawn at random on Monday 19th November 2018 and will be contacted via email. The winner will receive a pair of tickets for the Cheltenham Town vs Newport home game on Saturday 24th November 2018.